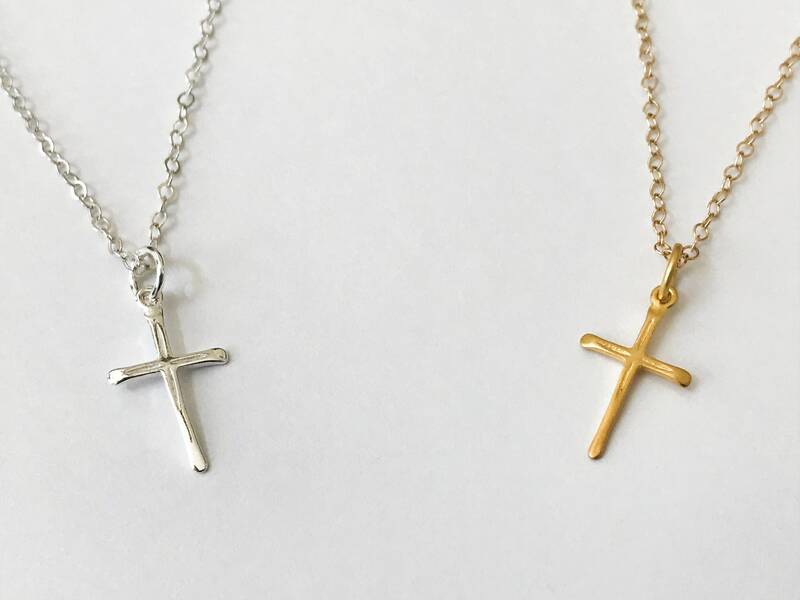 ♥ Choice of 14k Gold Filled (GF) or Sterling Silver (SS) Cable Chain, Clasp and Connectors. 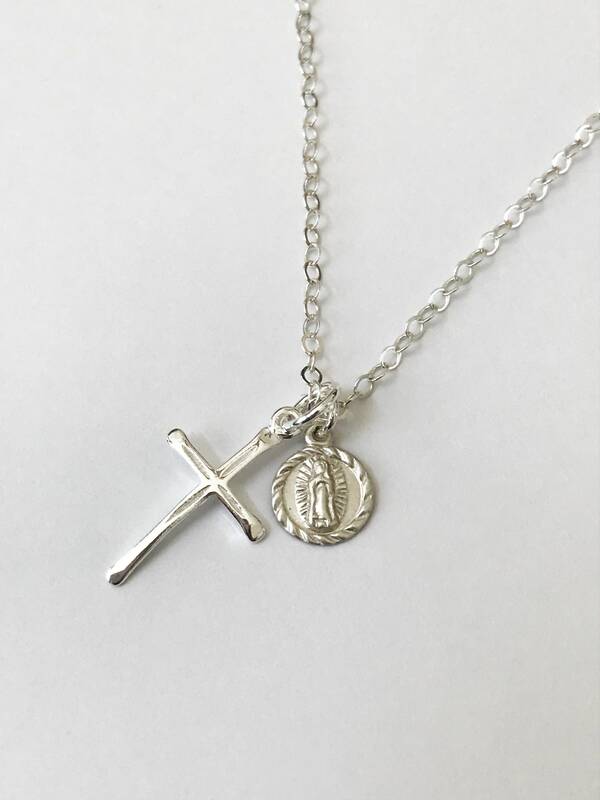 ♥ 14k Gold Filled or Sterling Silver "Our Lady of Guadalupe", Hollow Back, 8x10mm. 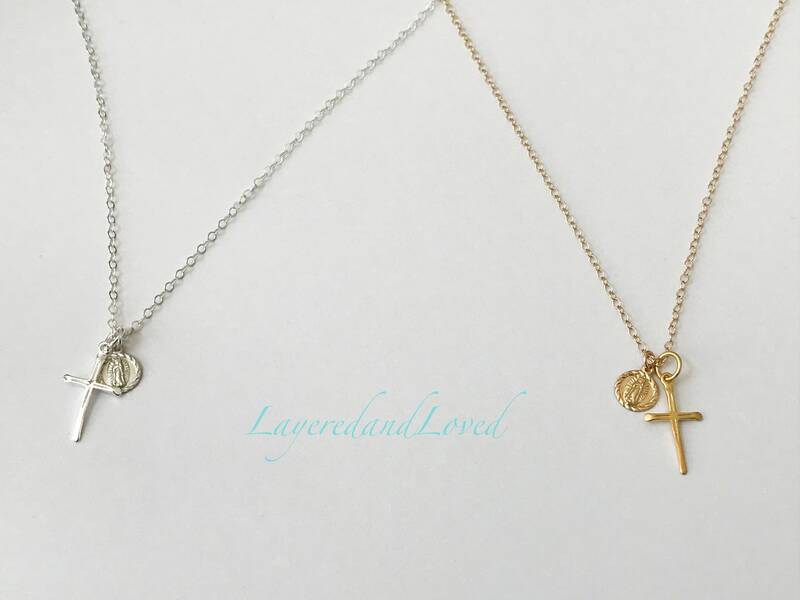 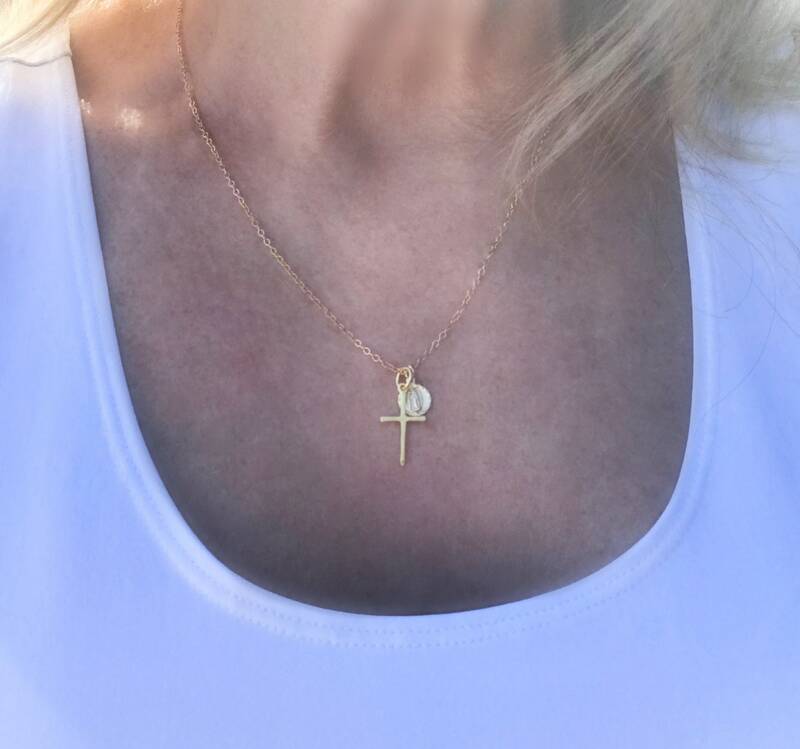 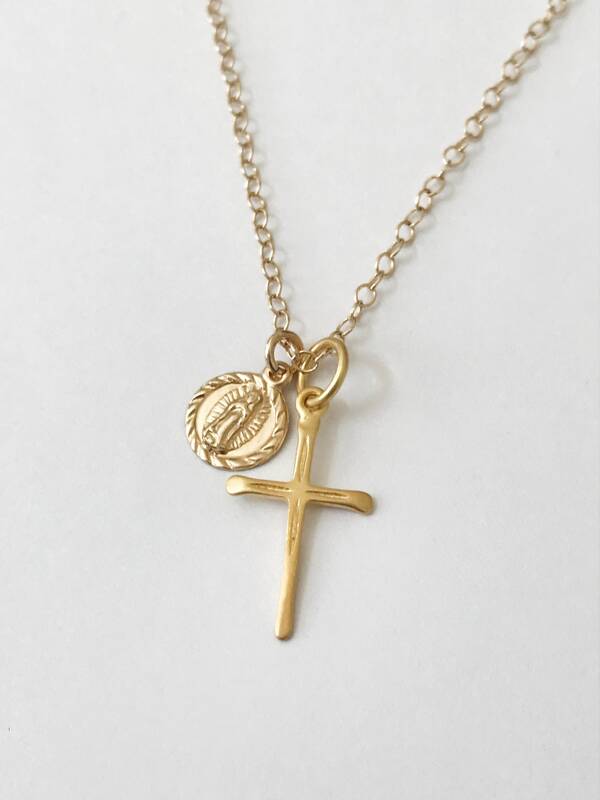 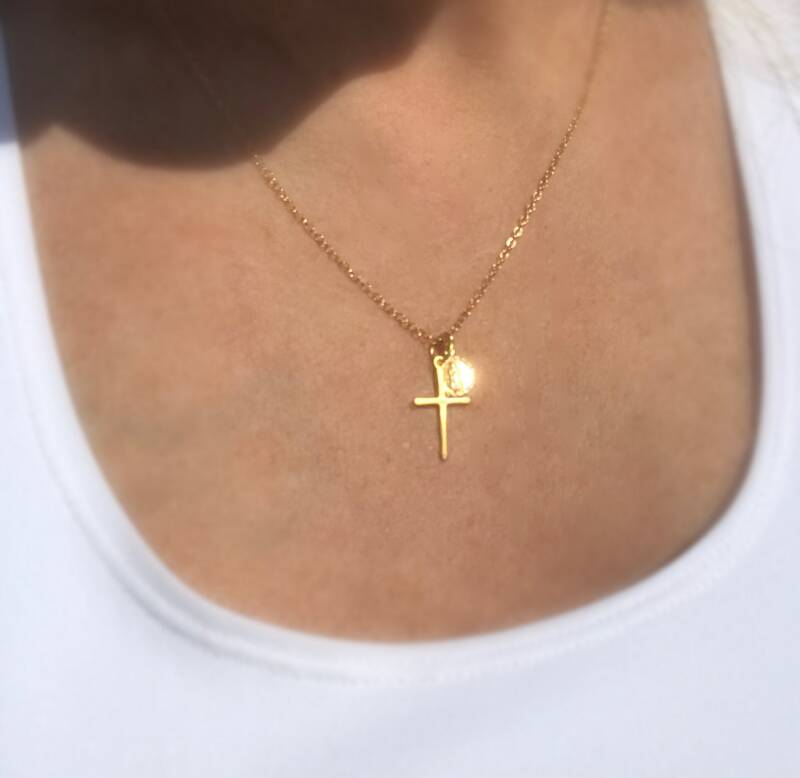 ♥ Sterling Silver or Gold Vermeil Slim Cross, 12 x 20mm. 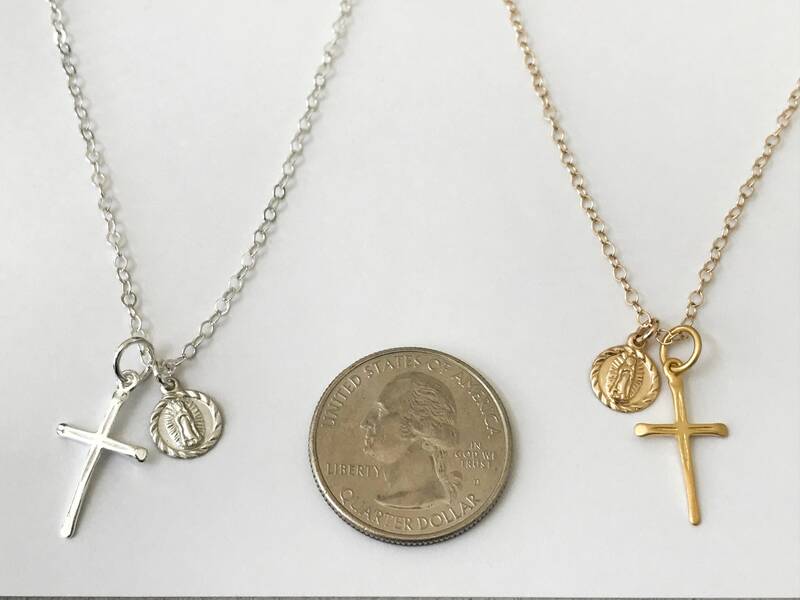 Choose a Guadalupe medallion charm, cross, or both, in either Sterling Silver or 14k Gold filled. 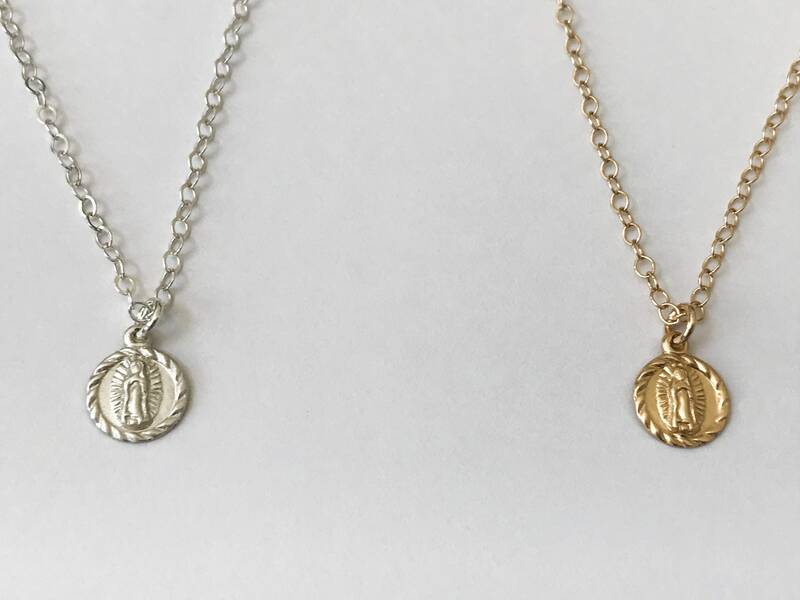 Beautiful and dainty worn by itself or wear it in layers.